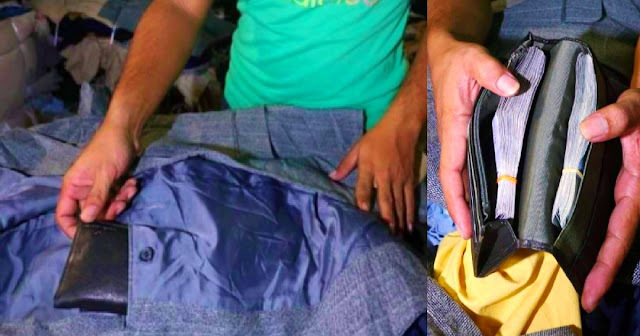 Home / Local / Trending / Viral / Napakaswerte ng Lalaking Ito Matapos Maka-jackpot ng Higit sa 200,000 pesos sa Loob Ng Shorts Na Binili Lang Sa Ukay-ukay! Napakaswerte ng Lalaking Ito Matapos Maka-jackpot ng Higit sa 200,000 pesos sa Loob Ng Shorts Na Binili Lang Sa Ukay-ukay! We all look for ways on how to save money. Some people try to be thrifty and only buy essential things. 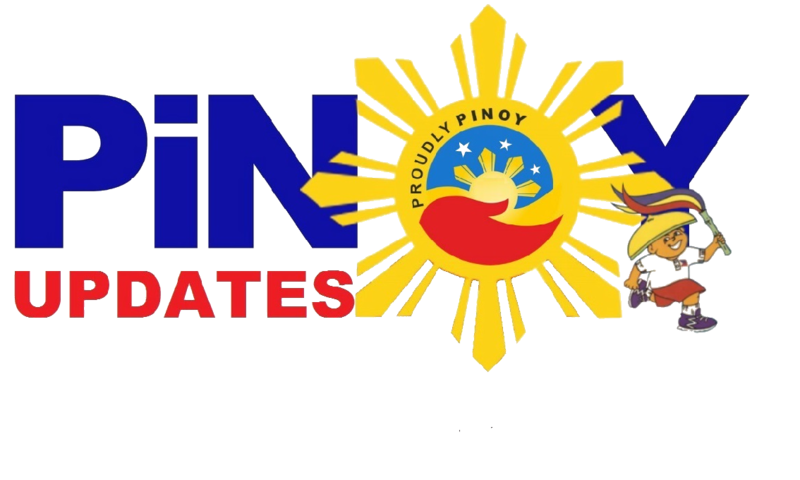 Others look for cheaper alternatives to match the current economic setting of the country. To be able to make ends meet, we also engage in small businesses and be a wise spender. Take Adam Wan Mohamad, for example. 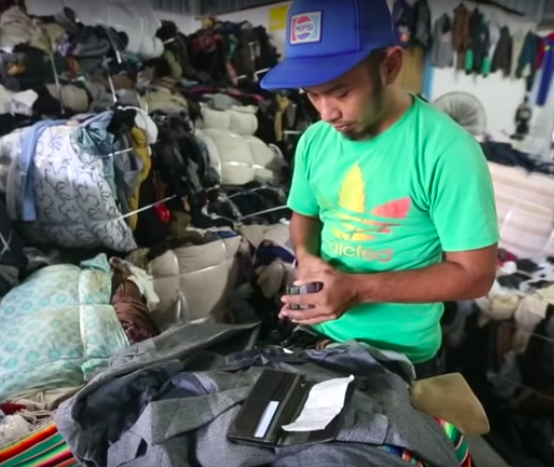 He is a 29-year old who owns a mini ukay-ukay store (or thrift clothes shop) in Malaysia. He gets his supplies from Kampung Tualang Salak in Kelantan Malaysia. Little did he know that this business routine would change his life forever. Adam went on this chore Last January 13 to replenish his supplies for his thrift store. 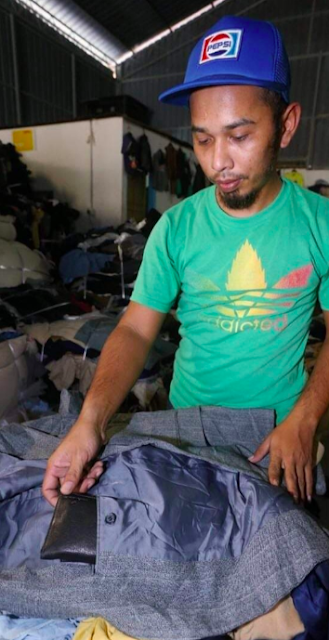 He bought two bundles of clothes amounting to only 1,200. When he went home to sort his finds, he felt something different in one of the shorts. When he checked the pockets, he saw an old-looking, black wallet. But when he opened the wallet, he figured out that he hit jackpot! 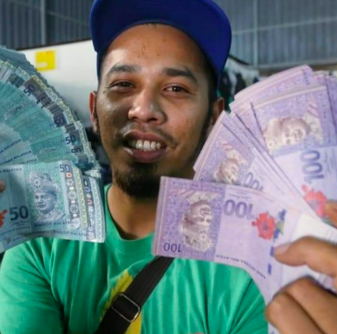 "I was shocked to see so much cash in it and after counting the money, I took some pictures and uploaded it on Facebook at 9:20 PM." "I've changed 450,000 Yen into local currency (approx RM16,800 or $4,150) and the rest will be kept as a memory. I will use the money to expand my business in the future." Many netizens envied Adam Wan Mohamed for his extreme good luck and tried to find gold mines in ukay-ukays, but of course, they failed. Others advised Adam to find the owner of the wallet and return it because it may be owned by an elderly. If you were in his shoes, would you spend the money or would you painstakingly look for the owner of the wallet? Let us know!